That helps enterprises establish their business precociously, efficiently to develop their competitive advantages. Where people are encouraged to learn and develop their skills. Our team concern about teammates, family and social benefits. In which our people master science and knowledge to conduct an effective business and durable development. We appropriately invest in people and products to form an secure & effective business environment, bring added values to our customers and our people and contribute to the development of the enterprise community in Vietnam. of all plans and actions. Kizuna JV would like to show our gratitude to those who concern about our products and services.We wish you would gain great success and find out useful solution for your business via Kizuna’s website. 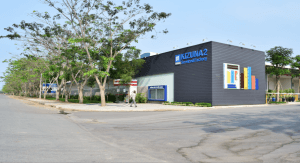 Providing a chain of serviced factories, Kizuna not only offers our customers a solution for business workplace but also services and facilities that help SME to quickly establish business, save cost, easily integrate and focus on production in order to gain highest efficiency. 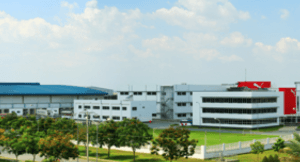 To develop the SME community in Vietnam is the direction for our actions from product R&D to operation. 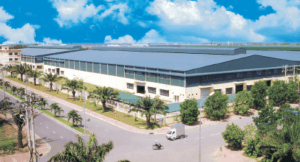 It is the peak of out 15-year experience in the field of industrial real-estate. We, all members of Kizuna, are committed to serving our customers delicately. Your success and efficiency are the measure for our plans and activities. 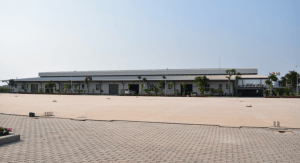 From 2010, Mr. Doan Hong Dung has been highly appreciated by foreign investors for setting up a convenient environment with small and medium ready-built factories that helps SMEs quickly establish their business in Long Hau Industrial Park. 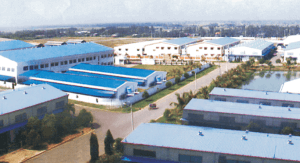 2012, he and his partners established the project Kizuna 1 Rental serviced factory. Kizuna 1 was designed and managed in order to increase the efficiency of SME’s business. This project is predicted to be ready to serve in the first Quarter of 2013. 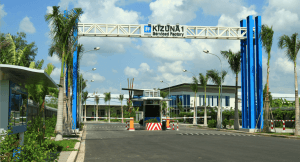 In the next few years, Mr. Doan Hong Dung, his partners and cooperators will increase their investment to serve the development of SME community through the chain of Serviced Factories Kizuna. Senior Specialist on management system of enterprise, factory; construction consultancy, Evaluation and Restructuring. 7 years of experience in Manufacturing management Field, Import and Export in JPN enterprises. 3 years of experience in General Affair. 3 years of experience of legal support and consultation for English/Japanese speaking clients to invest in Vietnam.